New Delhi, March 20: Google on Wednesday celebrated the spring equinox with an animated doodle of a flower on the surface of the earth. The Spring Equinox doodle’s reach extended to all of Europe, Asia and North America, including India, almost all of the Northern Hemisphere, where it is the first day of the season on Thursday. India will welcome the equinox (Latin for equal day and night), when it will be Holi, the festival of colours. 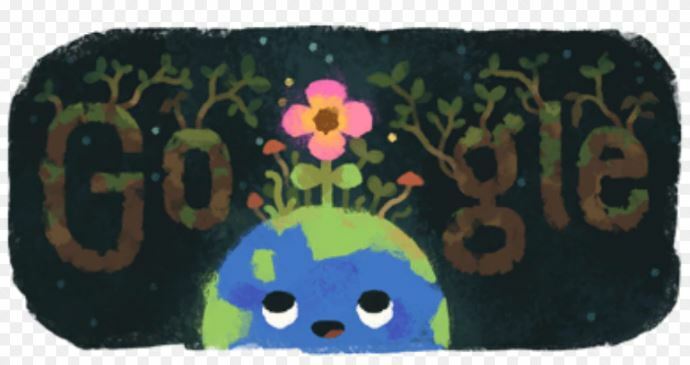 Spring Equinox 2019: Google Doodle Makes a Beautiful Illustration to Mark The Beginning of Spring on Last Supermoon Day of the Year. Almost everywhere in the world, night-time and daytime will be 12 hours long. Equinox is used to mark the change of seasons, as the balance of light shifts to make days longer than nights. It marks the end of the winter season and informs people about the arrival of warmer days. There are two equinoxes each year, in March and September. The March equinox marks the moment the sun crosses the imaginary equator from south to north and vice versa in September. The March equinox is often used by astronomers to measure a tropical year — the mean time it takes for the Earth to complete a single orbit around the sun.